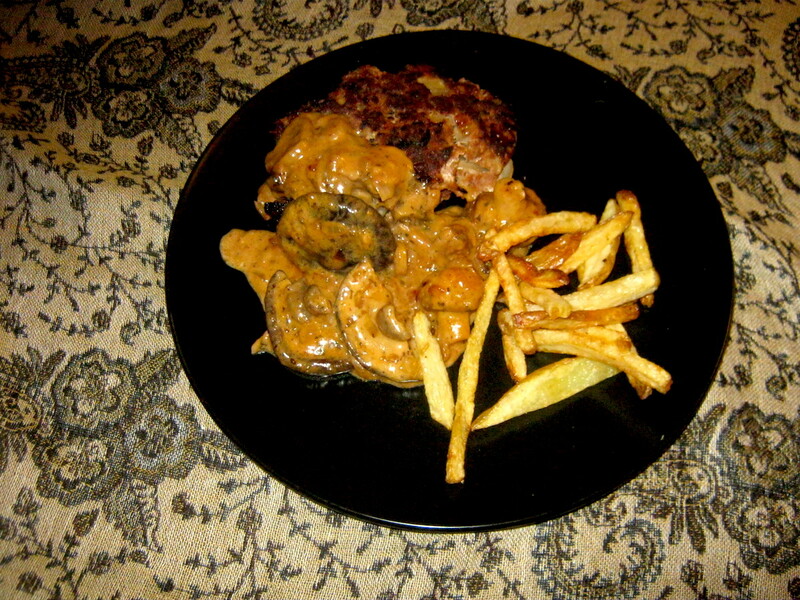 This mixed mushroom sauce was the perfect treat for a cold and rainy evening. 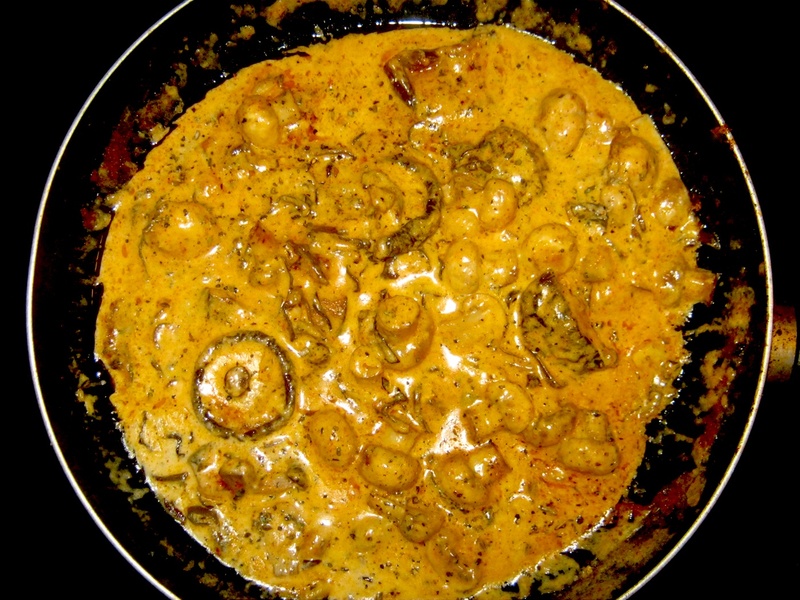 I always loved mushrooms and after we recently found out that they are not only very delicious but many of them are offering great health benefits as well I will surely have them even more regularly on the menu. 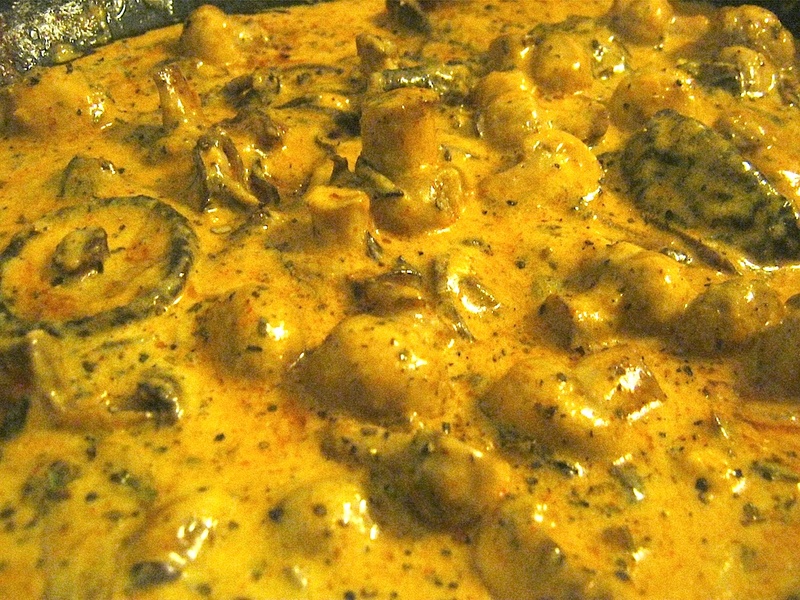 The mushrooms we used for this sauce are the common white button mushroom, the shiitake mushroom which apart from having a wonderful taste of its own is recognized as a great medicinal mushroom which amongst others fights obesity, destroys cancer cells and supports the immune function of the body. 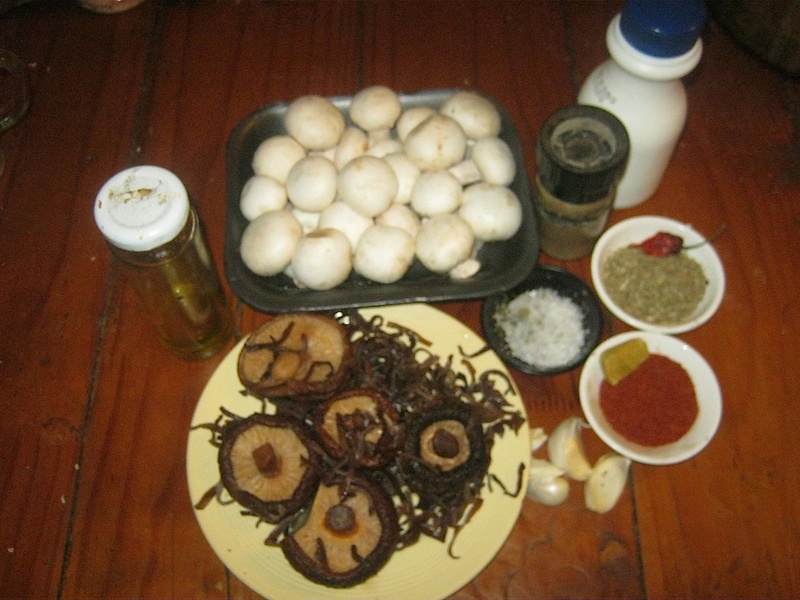 The third mushroom we used was the Chinese black and white mushroom.